Late rap legend Tupac Shakur's £100 million estate could enter a bitter court battle after his mother Afeni passed away this week at the age of 69. Afeni was in control of her son Tupac's multimillion dollar estate before her unexpected death. In September 1996, 25 year old rapper Tupac Shakur was shot dead while driving in a car with "Suge Knight; Death row records boss. The rapper died after a six day coma. Tupac's mother Afeni took over his estate and kept his legacy alive. Mother and son had always been close, and Afeni had inspired one of Tupac's greatest singles; "Dear Mama"
Afeni who died 20 years after her son, was a former member of the black panthers, and she gave birth to Tupac in 1971. At the time of her death, she was in the process of divorce from Gust Davis, a man she married 8 years after Tupac's death. Reports state that Davis was demanding alimony worth up to half of the Iconic rapper's estate. In the absence of a will, it is certain that the players involved would fight it out in court for the the €100 million estate. 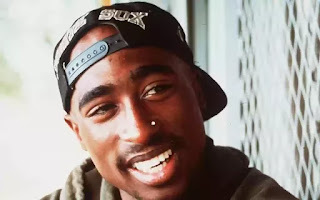 It is not now clear whether the estate will go to Gust Davis, or Sekyiwa Shakur; Tupac's half sister. Afeni's cause of death has not yet been released.